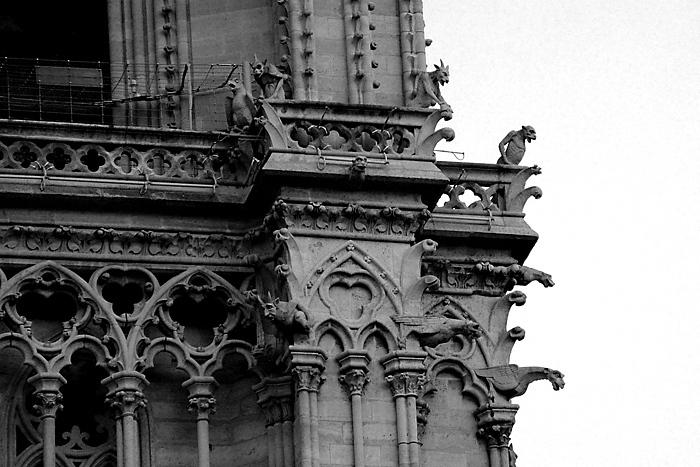 These demon looking creatures carved out of stone are called gargoyles. They are one of the many eerie stone figures that adorn the gutters of the Cathedral of Notre Dame in Paris. Gargoyle comes from a Latin word, meaning gullet or drain. That’s what the strange looking creatures are, they’re drainpipes. 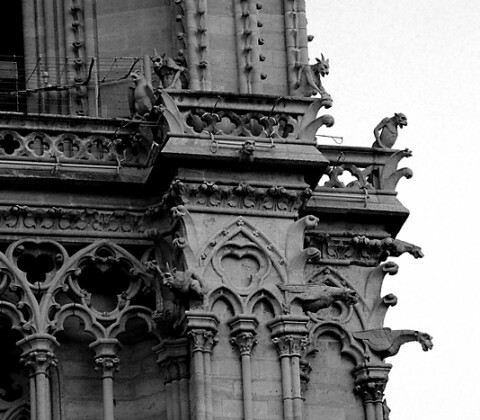 Each grotesque figure has a passageway inside that carries rainwater from the roof and out through the gargoyle’s mouth.